Every weekend, I sit around and try to think of a new topic for Best Book Ever. Sometimes I succeed, sometimes I recycle an old topic, sometimes I have to ask the gods of Listopia at Goodreads for some inspiration. This week inspiration came in the form of Beyonce... or at least, a folk cover of a Beyonce song. "Halo" played and, well, birthed this week's topic: angels. Simple as that. Check out our selections and let us know what you think in the comments. I might take this back once the final Mortal Instruments book is released, but right now my favorite novel with angels is Cassandra Clare's The Clockwork Princess. 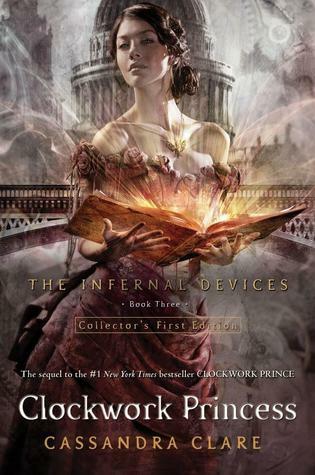 This story wraps up her Infernal Devices series and wrenched my heart--it is the only one in this series that made me tear up. Surprisingly I loved following Will, Jem, and the other nephilim more than I loved following Jace and Clary's story and Clare wraps everything up beautifully. 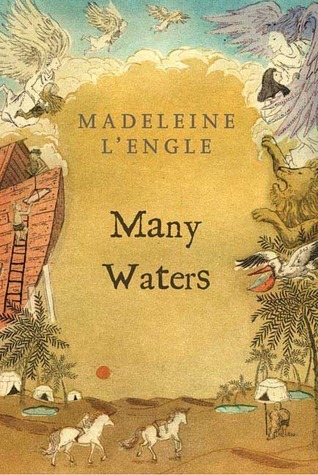 MANY WATERS, the fourth and less-known book in the WRINKLE IN TIME series by Madeleine L'engle focuses on the "normal" members of the Murray family - twins Sandy and Dennys. When they accidentally interfere with one of their father's experiments, they find themselves in Biblical times - right before the Great Flood. The Biblical world isn't quite what they expected - mythical beasts, winged seraphim and also their half-human offspring, the terrible nephilim, populate the land along with humans much smaller than Sandy and Dennys. The angels in this book have stuck with me years after reading, and I definitely recommend it! I really had to think about this one. It seems that I don't remember many books with angels, and even fewer that I loved; hopefully other recommendations here will remedy that! The one that sticks out the most for me is Neil Gaiman's Neverwhere. 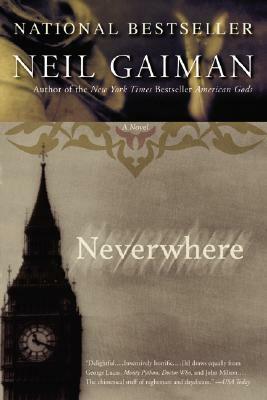 I first discovered Neverwhere through the BBC television miniseries on which the book is based. It involves a man named Richard Mayhew who saves a girl named Door and gets pulled into an adventure in a secret world known as London Below. As a parallel world to the one Richard lives in (London Above), it has all the same places, but slightly different. It may not be quite as charming for people who don't know London (and in fact, U.S. publishers demanded alternate text for the novel to localize it), but place names have different meanings; for example, "Knightsbridge," a road in a posh part in central London, is "Knight's Bridge," a terrifying path to the floating market. More to the point, a district known as "The Angel, Islington" is an actual angel named Islington. That's just too clever! I really like the old TV series, as low-budget as it is, but the book fleshes the story out more. It's also been a comic book, and there was a recent audio production starring James McAvoy and Benedict Cumberbatch will will hopefully be released on CD and for download soon. This week's BBE is one of the easiest choice I have had to do. If I would have read this book last year then my choices would have been hard to choose from since I had only read books by Becca Fitzpatrick and Lauren Kate that involved Angels. Then in October I got a copy of Angelfall by Susan Ee. This book was self-published and blew up the sales, so then Amazon Children's Publishing made a deal and acquired Angelfall. Angelfall is that "IT" book. The ones that after you're done reading it, you continue to talk about it with everyone all the time. Still today I pimp Angelfall out to anyone who hasn't heard of it. It's one of my top favorite books of all-time. There is just something special about that post-apocalyptic Angel book or it could all be because of the swoon-worthy Angel Raffe. 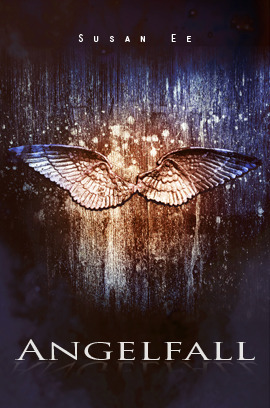 Like I mentioned in my review of Angelfall, Angel Apocalypse is the new thing, forget Zombie Apocalypse. My pick for favorite angel book may seem biased, but I can honestly say without my fingers crossed that my fav angel book of all time is THE GUARDIAN by Carey Corp. Yes, Carey is my writing partner on our upcoming YA novel DOON, but I would still choose The Guardian even if she wasn’t. 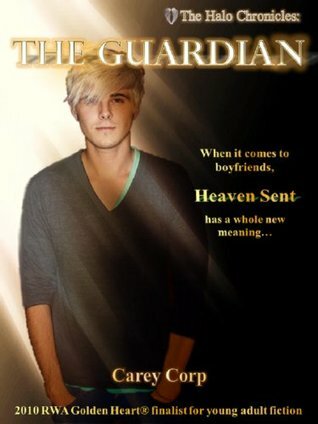 It’s a heartbreaking story of the power of first love with an amazingly hot alpha-boy angel. I dare you to check it out and try not to love it! My fav angel books are the "Unearthly" books. SOOOO good! I haven't read The Infernal Devices series yet but I definitely want to read them more now that you say you enjoyed it more than he Mortal Instruments.